There will be no pre-order for Reaper. The expected release date will be mid-late October. 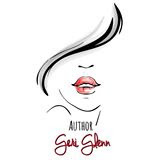 To be sure you don't miss the release, be sure to sign up for Geri's mailing list so you can be guaranteed an email on release day or follow her on Amazon.